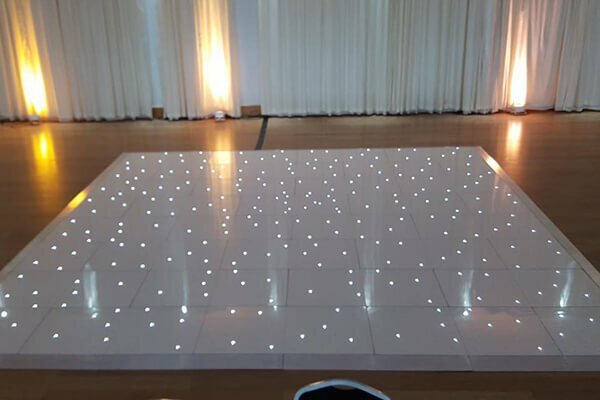 My LED dance floors for hire are white with beautiful white sparkling LEDs – perfect for bringing that touch of magic and style to your wedding venue. They also go beautifully with my dry ice and indoor pyrotechnics for a show-stopping first dance! LED dance floor(s) can be supplied separately to my DJ services. 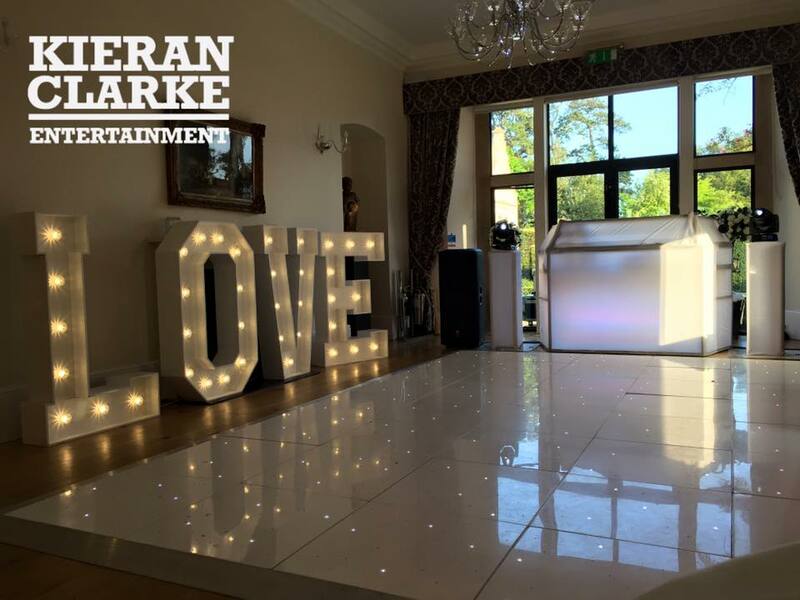 For more information and to book Kieran Clarke’s wedding entertainment services give me a call on 07849 150 594 or email info@kieranclarkeents.co.uk and I will get back to you as soon as possible regarding your wedding dance floor hire.